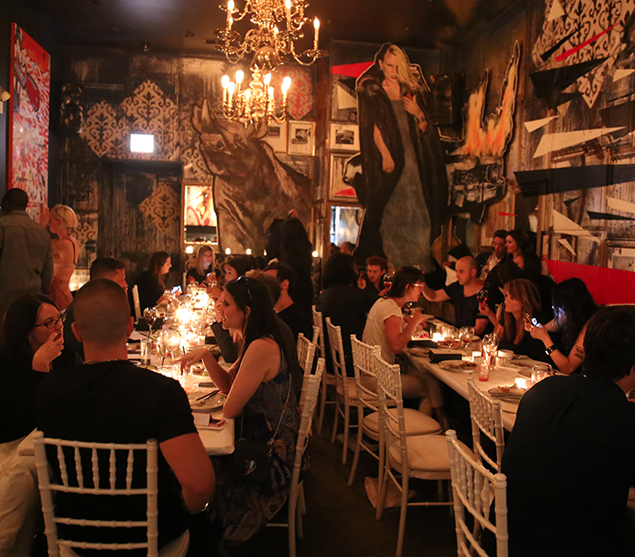 I had the great fortune of being invited to a fabulous dinner party thrown by M·A·C Cosmetics at Fulton Market Kitchen along with a select group of people (including some AMAZING muscians like War Paint, Wild Belle and Francisca Valenzuela). The party was to celebrate three separate lines curated by the stylish DJ and It-Girl Mia Moretti that coincide with Lollapalooza, South by Southwest and Coachella and will include a variety of her all-time favorite M·A·C products perfect for each festival along with original shades and accessories timed with Coachella. 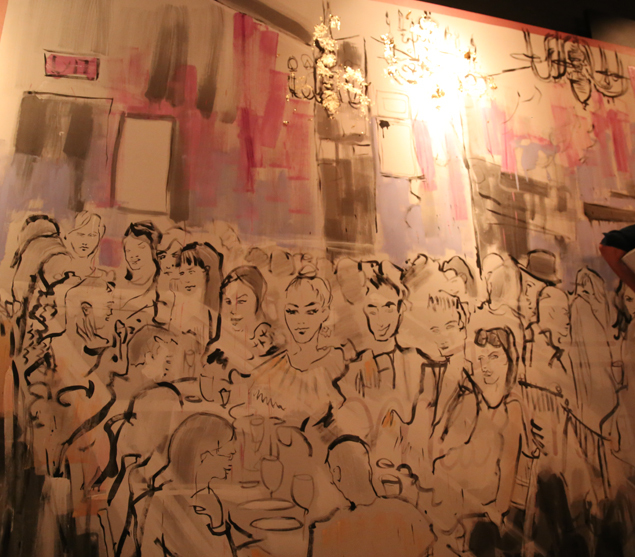 At the event, Cleo Wade, a mega-babe in Mia's entrourage, made individual poems for each guest using a pink typewriter and artist Blue Logan painted a scene of the party throughout the evening on a photo wall. 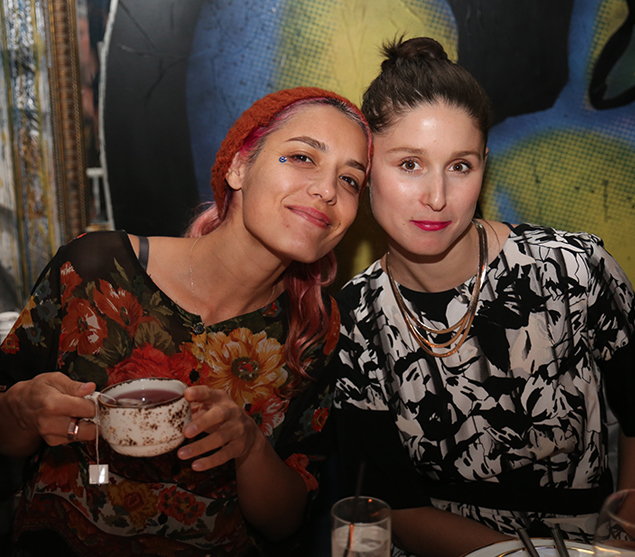 How cute are Francisca Valenzuela and Jenny Lee Lindberg from War Paint??!! Thanks for an amazing evening M.A.C. Can't wait to see the collection when it's unveiled at Coachella. I want to become beautiful point, so recently wanted to buy some cosmetics to dress themselves, do not know Mac Makeup good or not, many of my friends are using.